Many travelers think of the East Coast as the home of U.S. history, but there’s plenty for history buffs to discover in San Diego, too! If you’re traveling with an eye to the past, try this three-day itinerary for stepping back in time to explore San Diego’s vibrant heritage. Did you know that the first European explorer to discover California touched down in San Diego? 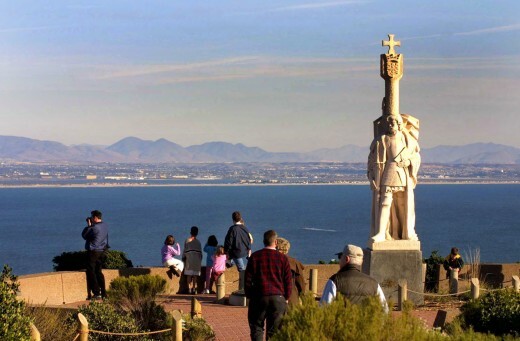 The Cabrillo National Monument marks the site where explorer Juan Rodrguez Cabrillo first set foot in the state. A visit to the site is rewarded with panoramic views of the city, ocean and mountains. A trip to the Cabrillo National Monument is worth it for the views alone. From California’s birthplace, head to the first permanent settlement on the West Coast, Old Town San Diego State Historic Park. This historic site is often referred to as San Diego’s first “downtown.” The park’s past comes alive every Wednesday and Saturday with Living History activities, including blacksmith demonstrations, quilting, soap making and other period-specific crafts. Stop by the historic Cosmopolitan Hotel and enjoy a drink at the bar that once belonged to Wyatt Earp. Sample contemporary Mexican cuisine at Café Coyote or El Agave. Explore San Diego’s early days by heading to the historic Gaslamp Quarter, featuring 16 blocks of Victorian-era buildings. 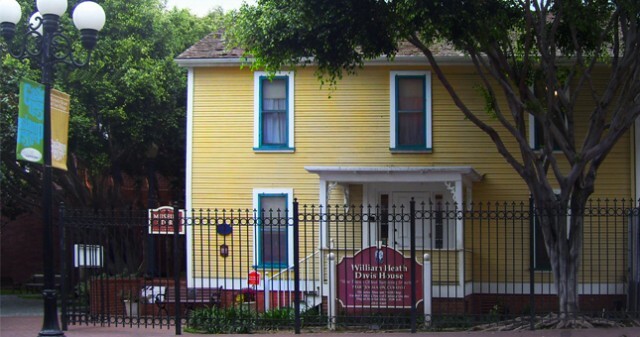 Make a stop at the William Heath Davis Historic House Museum, the Gaslamp Quarter’s oldest surviving structure. Built in 1850, the house is now home to the Gaslamp Quarter Historical Foundation, where you can learn all about the district’s past. The William Heath Davis House welcomes guests, both normal and paranormal (legend says it’s haunted!). If the seedier parts of downtown’s past intrigue you, sign up for the Brothels, Bites & Booze walking tour, or pop into a speakeasy like Prohibition or Noble Experiment that pays homage to San Diego’s “stingaree” days. Being a city on the bay, the military and maritime industries have played a big role in San Diego’s history. 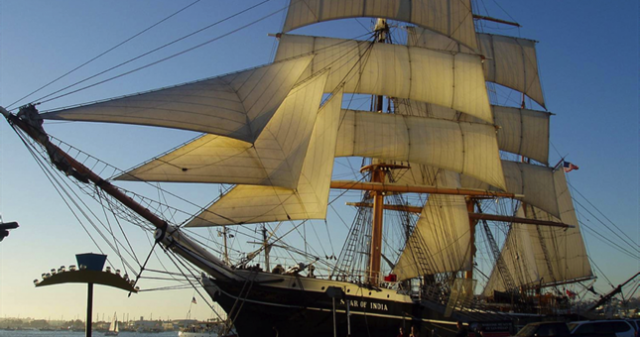 Begin your exploration of maritime life at the Maritime Museum of San Diego, one of the world’s finest collections of historic ships, including the famous Star of India – the world’s oldest active tall ship. 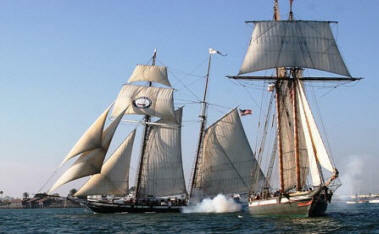 The Star of India is one of the ships featured at the Maritime Museum of San Diego. After seeing the tall ships, head next door and step aboard the USS Midway, the longest-serving aircraft carrier in U.S. Navy history, is now home to a floating museum. See how hundreds of men lived below the decks, jump in a flight simulator or get up close to military aircraft aboard the ship’s flight deck. The USS Midway is an aircraft carrier turned museum. Close out your day of maritime exploration with a trip to NTC at Liberty Station, a former Naval Training Center that is now a flagship civic, arts, and culture district. The “The Life of a Naval Training Center Recruit” and Point Loma Legacy exhibits offer one last learning opportunity before you relax with a beer at the nearby Stone Brewing Co. World Bistro & Gardens. With so much history to explore in San Diego, you may need more than 3 days! But no matter what you choose to see while in town, there’s something for everyone to love in San Diego. Exploring San Diego’s museums, both big and small, is a great way to learn about the life, culture, history and art that makes up the city. But if you plan on visiting more than one or two, admission prices can really add up. Fear not, budget-savvy museum lovers. San Diego Museum Month 2014 is right around the corner. From February 1-28, 2014, visitors can pick up a special Museum Month pass that provides half-off admission to 44 participating museums around San Diego. With so many participating museums, it can be hard to choose which ones to visit. Fortunately, San Diego’s wealth of museums means that visitors from all walks of life are sure to find something one (or more) to love. The San Diego History Center showcases San Diego’s history with artifacts, costumes, art and one of the largest photograph collections in the western United States. Famed architect Irving Gill designed the historic Craftsman period mansion, The Marston House, with an elegant English garden. The Maritime Museum of San Diego in downtown San Diego along San Diego Bay offers one of the world’s finest collections of historic ships, including the famous Star of India – the world’s oldest active tall ship. The Museum of Photographic Arts presents photography from leaders like Ansel Adams, as well as cutting edge new artists. An intimate and elegant, state-of-the-art movie theater screens film classics and cult classics alike. 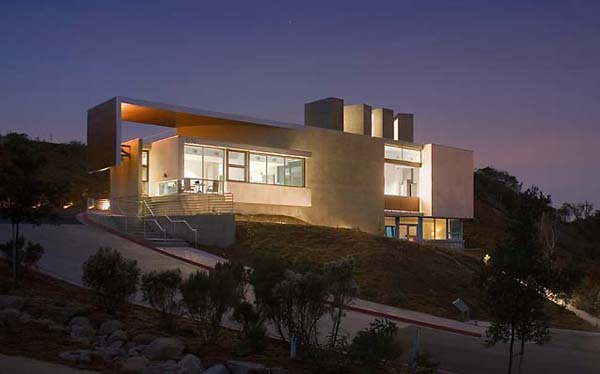 Set on a secluded hillside in a bright, modern structure that resembles a tiny Getty Center, the LUX Art Institute in Encinitas maintains an artist-in-residence program offering up-close opportunities to view international artists at work. The Museum of Contemporary Art San Diego displays modern masterpieces, including multi-media exhibits from world-renowned contemporary artists, in two locations, downtown San Diego and La Jolla. 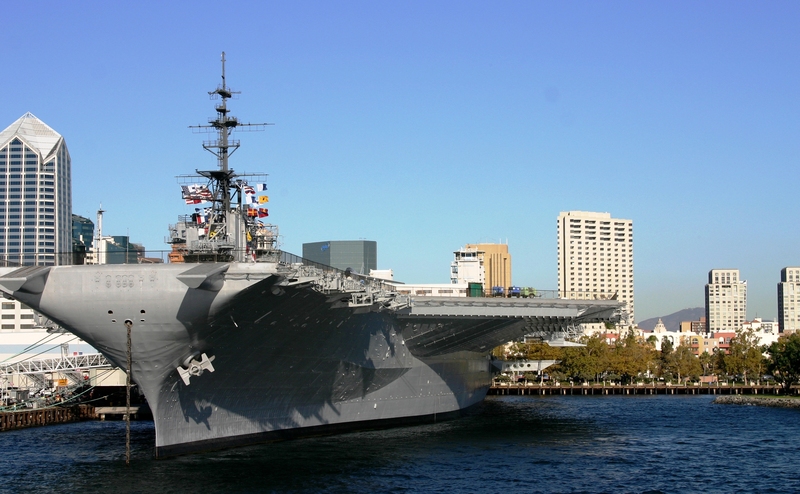 The USS Midway Museum is a decommissioned aircraft carrier museum in downtown San Diego along San Diego Bay featuring aircraft displays and interactive exhibits honoring the U.S. military. Museum of Making Music in Carlsbad features more than 450 musical instrument displays and interactive areas to listen to music, ranging from ragtime to rock ‘n’ roll. California Surf Museum in Oceanside preserves the legacy of pioneering legends of the surfing world. Museum Month passes are free and can be picked up at any San Diego area Macy’s store location (plus locations in Temecula and the Imperial Valley). Be sure to grab one early to make the most of your time in San Diego! Watch the Opening Olympic Ceremonies Aboard the USS Midway Museum FREE! * An the opportunity to meet the 2012 BMX Olympic Team before they head to London! British food and drinks will be available for purchase. Lightweight lawn chairs and blankets are allowed.